Many folk’s vaping journeys begins and ends with a cigalike or ego-style starter kit. For others, there comes a time when we desire a little more from our equipment, and to satisfy that need many people turn to a more advanced regulated device, known colloquially as a ‘mod’. Finding the perfect vape mod can be a daunting task, especially considering the different types of vape pens available nowadays, but once you know what you need, finding what you want is an easy task. What Is a Mod, Anyway? The term comes from the industry’s nascent days, when daring do-it-yourselfers would tear apart Joyetech 510 cigalikes and frankenstein together their own creations, often using flashlight tubes and whatever else they could get their hands on. Over time, the term has evolved to encompass any device, tube-style or otherwise, with capabilities beyond those of cigalikes and fixed/variable-voltage batteries. For a complete overview, check out our Vape 101 comprehensive guide. You will, however, run into both fixed and variable voltage batteries that advertise themselves as mods, as well as devices that have no circuitry whatsoever, known as mechanical mods (which are certainly not for beginners). This is a testament to how hazy the definition of the term has become. This is one of biggest challenges when shopping for a regulated device – when everything is a mod, how do you know what to go with? Whether it’s $30 or $150, knowing how much you can afford to spend will help make the shopping process easier and faster – no sense in comparing entry-level mods with more advanced ones when you’re only planning to drop 40 clams. Once you have your budget in place, think about how you use the device you already own. Are you tearing through that ego battery’s capacity in a few hours, or does it still last the day? Are those hot new sub-ohm tanks catching your eye, or are you happy with the clearomizers you know and love? Determining your battery needs and wattage requirements helps narrow the field even further: If you vape somewhat infrequently, there’s not much reason to choose one with user-replaceable batteries over something built-in. Likewise, there’s no sense in paying for 100 watts when you know 15 is more than enough. It’s also helpful to know what you should expect for your money, regardless of which price point you decide on. These days, most mods worth your time will offer basic amenities such as a backlit display, the ability to run in variable voltage or variable wattage and onboard charging via micro USB. There are devices worth owning that don’t offer some of these features, of course, but as a rule of thumb, any device worth owning will either include these basic features, or make up for their absence by solving other problems. If you decide you need something more advanced, remember that there’s new, required knowledge that goes with owning high-end devices. Buying a mod with user-replaceable batteries means learning about 18-series rechargeable batteries, as well as their amp limits. Not all 18650, 18350, etc batteries are suitable for use in electronic cigarettes, so make sure you’re using a battery sold by a reputable e-cig outlet, and not something from Home Depot that was actually made for heavy-duty flashlights. Basic battery safety also goes hand-in-hand with learning about Ohm’s Law, which is the fundamental rule set that dictates how all e-cigs function. Thankfully, we have an article with everything you need to know about sub ohm vaping safety. 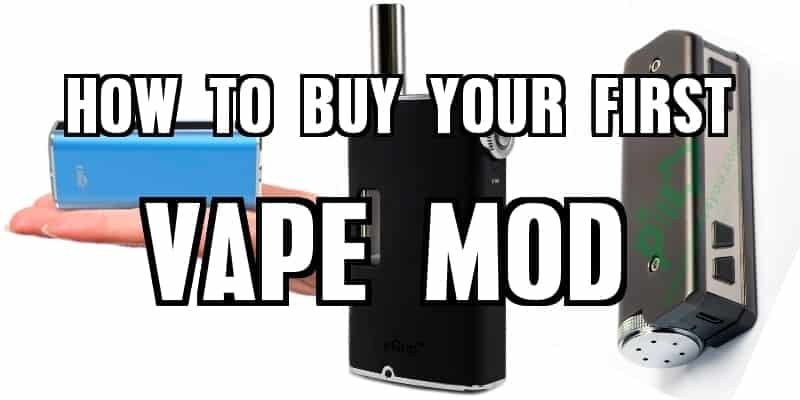 So now that you know what you need, and how much you can spend to get it, choosing the right mod should be as simple as browsing a few retailers (and searching Vaping Cheap to make sure you’re getting the best deal). If you need some places to jump off from, however, allow us to make a few solid recommendations. 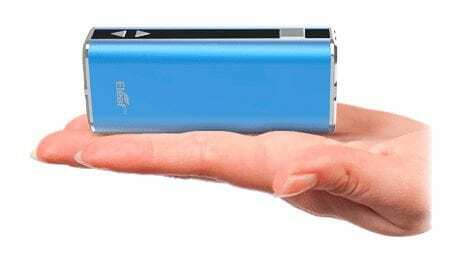 The iStick 20 from eLeaf has proven to be a runaway success in the entry-level market, combining extreme portability with a full set of features, including USB charging, an information-packed display and a maximum output of 20 watts. The iStick 20 is also one of the most affordable ones out there. Additionally, the iStick is also available in slightly larger iStick 30 (30 watts), the iStick 50 (50 watts), and the iStick 60 (60 watts), which may be worth considering if the iStick 20’s inability to fire coils below 1 ohm is an issue for your specific use case. The Innokin iTaste VV4 packs the functionality of a mod into the form factor of an ego-style battery, which is great for folks who want to enhance the quality of their vape while sticking with a familiar package. The iTaste VV4 offers battery level LEDs, an OLED display, USB charging and a maximum of 15 watts, delivered as direct DC current (vs. the pulse-width modulated signal found in the iStick 20). It is available in 750 and 1000 mAh battery capacities for $39.95 and $45.95 respectively and will fire down to 0.8 ohms. Meanwhile, the Joyetech eGrip sacrifices some features for the sake of compact convenience. While it doesn’t feature a display or variable voltage functionality, it does include its own tank system, which results in a remarkably compact all-in-one solution with a juice capacity of 3.6 ml and a maximum output of 20 watts. Joyetech also sells an RBA module for the eGrip, which makes it a good choice for folk who may want to delve into building their own coils down the line. The JoyeTech eGrip can be had for as little as $69.99 here. For those looking for a more future-proof solution, the IPV Mini serves as a great entry point into high-end advanced personal vaporizers, by offering luxuries such as customizable wattage/voltage setting presets, user-replaceable batteries and a maximum output of 30 watts. 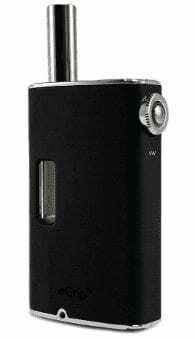 While it may not be as compact as the tiny iStick, the IPV Mini is still easily pocketable in its own right and is much smaller than other devices with comparable features. The IPV Mini goes for around $49.99. Very nice, I was thinking of making a post with information like this.